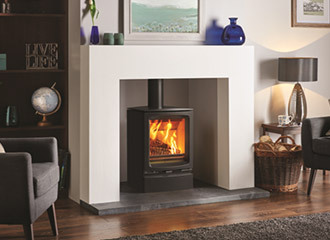 Looking for a wood stove installer thats hetas registered in Kent we supply and install Log Burners, Wood Burners and Multi fuel Stoves and any other kind of fireplace in Ashford and all surrounding areas of Kent. We provide a free fireplace survey which is carried out by a hetas registered engineer on your fireplace whether its a current open fireplace or a possible replacement of your current log burner, wood burner or multi fuel stove. 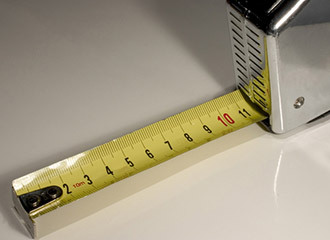 All this is carried out by our in house team which are fully qualified with the latest hetas training. 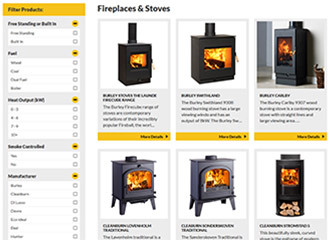 Choosing a wood burning stove can be difficult there are so many log burning stoves to choose from its important you seek a professional fireplace company such as us cosy fires we give free advice on wether you need a wood burning stove or a multi fuel stove. A multi fuel stove gives you the option of burning coal having this option allows the multi fuel stove to run all night. This means going down in the morning to your multi fuel stove it will be nice and warm still glowing with the coal and wood can then be added to get the fire going again. A wood burning stove is suited to people that only have the intention of burning wood, a wood buring stove also burns more efficient but you can't expect your wood burning stove to run over night unless your burning a very dense wood such as Ash or Oak. All works including plastering and building works are carried out by Cosy Fires and no external trades are required. Come into our fireplace shop today to view our range of wood burners, log burners and multi fuel stoves in Ashford Kent. We provide a free fireplace survey to help you choose the perfect fireplace or wood burning stove to install for your home in Kent.